Read Greek folk tales that include Aesop’s Fables and Fairy Tales of Modern Greece. Jump to full list of Greek folk tales. About: Greece’s culture dates back thousands of years, expanding its influence and reach even in the modern age. Throughout its history, the culture has given the world a diverse collection of folklore. Considered the birthplace of Western Civilization, Greece has contributed tales of epic heroism and spellbinding magic with its Greek myths. “The wolf and the kid.” Illustration by Milo Winter. Published in the Aesop for Children: Illustrated by Milo Winter (1919), Rand McNally & Co. 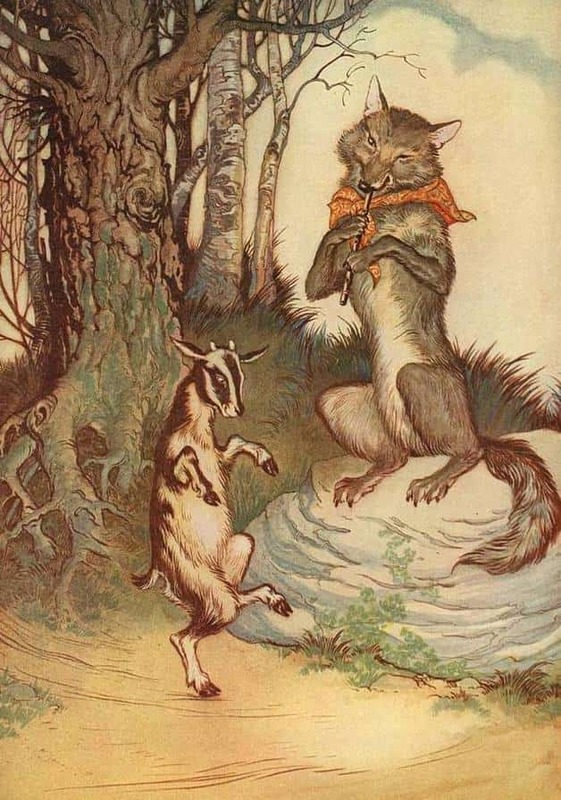 While historians doubt a storyteller known as Aesop actually lived, Aesop’s Fables have been popular stories with children and adults for centuries, their contents teaching valuable morals. Greek folklore also includes Fairy Tales of Modern Greece, which share lively stories of fairies interacting with mortals, and even a few stories for children from folklorist Andrew Lang. Even today, you can see references to Greece’s literature in film, television, and books.